After a wandering a bumpy road the Ottawa Honey House had some honey for sale. A big thank you goes out to the kind souls that pitched in to make 2014’s production possible. 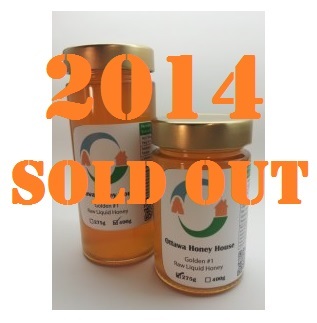 Unfortunately 2014 was a very poor year for local honey producers (see Ottawa Citizen article here) and Jeannine‘s harvest was less than a quarter of its estimated yield. There wasn’t much available to those outside of immediate family and friends. This is “bee first” honey where the welfare of the bees is the most important consideration. No heat is applied to this honey at any point in its production or processing. 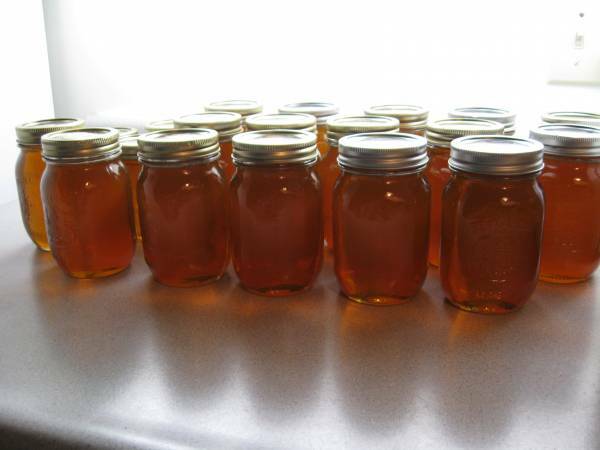 This honey is produced by bees living in the midst of vacant forest land just to the west of Stittsville and on NCC property between Kanata and Bells Corners. No pesticides, anti-biotics or synthetic chemicals are applied to the bees or added to the honey. Something will be posted here whenever honey is available..